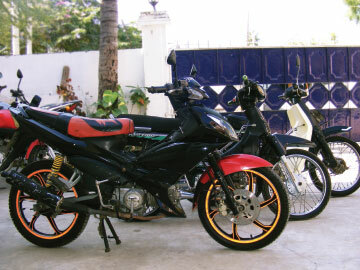 Myanmar Bike Rental - Book a motorcycle today! My name is Tim, and I’ve been living in Myanmar for over 15 years. I recently decided to start Myanmar Bike Rentals, to share both my love of this amazing country, as well as my love of traveling by motorcycle. There is such a massive difference in the experiences you can have between travelling by car/bus, and travelling by motorcycle. When in a car or bus, you are closed off from the countryside or people around you. Your destination is your main focus. When on a motorcycle, you are no longer a passive spectator to the views passing by your window. You are an active participant in whatever environment you are passing through. You are not just seeing, you are experiencing….the sights, sounds, smells…… Although your destination remains just as important, your journey, the act of getting, there has taken on a whole life of its own. 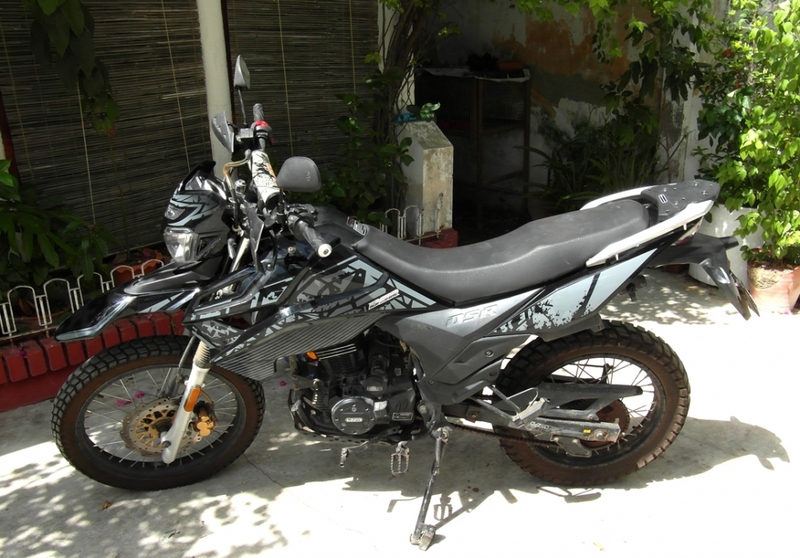 I rent out bikes to travellers who want to have the freedom to drive themselves around Mandalay, and the surrounding areas, or for the more adventurous minded, you can take one of the bikes for a longer tour around the country. That said, there are some areas of the country which are off limits to tourists, so please try to give us a general idea of where you are intending to go and we will be able to advise you on what’s possible. Currently, Inle Lake and Bagan are off limits to tourists on motorcycles, unless with a large organized tour. In addition to the motorcycle rentals, we also offer guided “Big Bike Tours” of Mandalay and the surrounding cities. We keep these tours small (maximum of 4 bikes) and will tailor them to your tastes, so if interested, get in contact with us and tell us what you are interested in seeing and experiencing, and we will do our best to make it happen. We have a wide selection of bikes; ranging from simple step-through bikes to automatic scooters and on up to dirtbikes and cruisers. 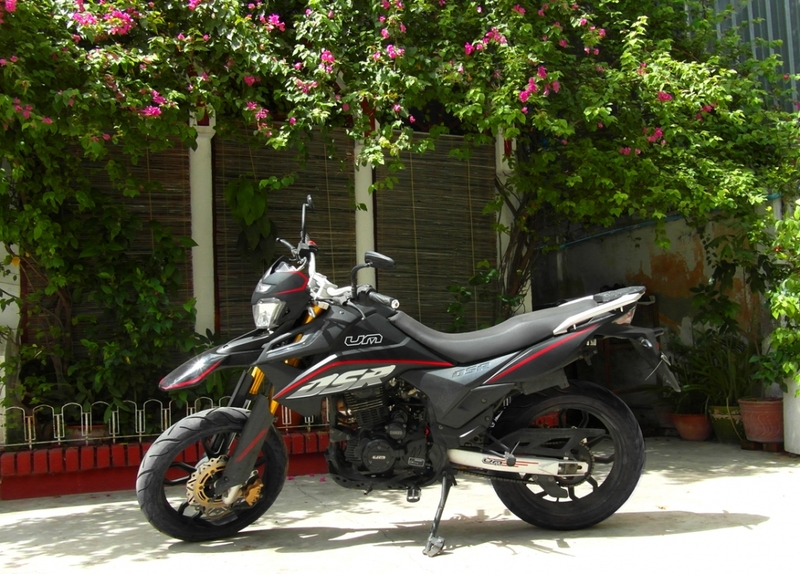 Whether you want to drive yourself around the city of Mandalay for a couple of days to take in the sights on your own, or go on a longer self drive tour of the country, we will do our best to pair you up with the bike that suits you best. 90cc to 125cc step-through (clutchless) motorcycles/scooters. Simple Chinese made clones of Japanese bikes like the Honda Supercub. 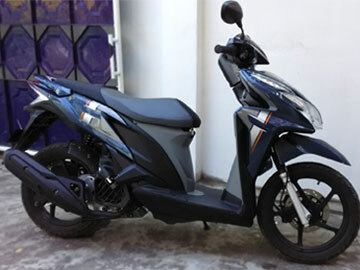 A 125cc FULLY automatic scooter, amazingly easy to drive, quiet, smooth, and economical. No fiddling about with gears and a clutch, totally hassle-free driving, perfect for taking in the sights around town and the surrounding areas. Very easy to drive, and practically bulletproof. 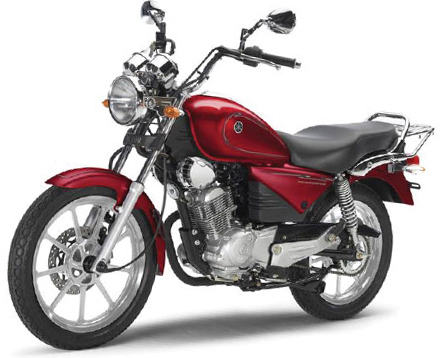 A reliable and fun bike to ride. A tough, solid off-roader, the DSR is a bike that will take you almost anywhere you might be inclined to take a bike. Its air-cooled 200cc 4-stroke engine and decent ground clearance will ensure a dependable, hassle-free ride, no matter the terrain. Sharing the same gusty 200cc 4-stroke engine as the DSR, but with more of an adventure touring layout, the Hypersport gives you the flexibility of good ground clearance and rugged frame, yet higher cruising speeds and better maneuverability. This bike is also available with either road tyres, or on/off road tyres (upon request). Our Honda Shadows are currently the biggest motorcycles you are likely to see on the roads here. Beautiful, classy and extremely comfortable. 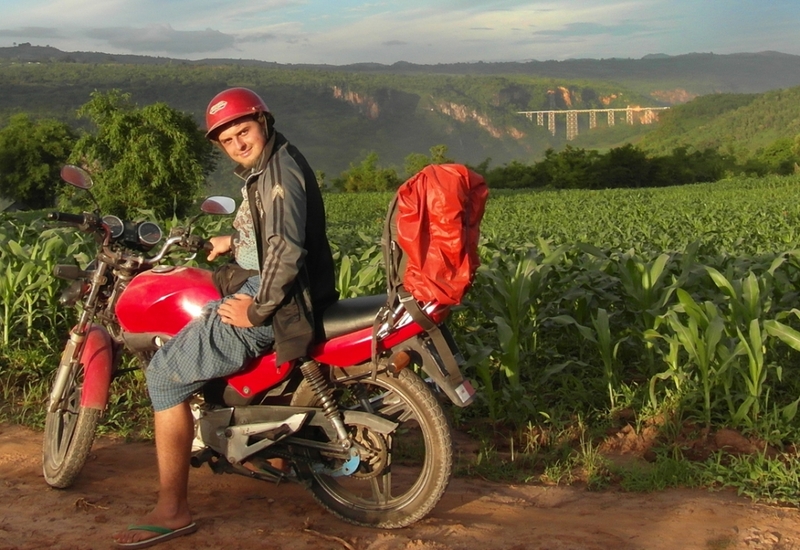 these bikes are guaranteed to make your motorcycle tour of Myanmar an unforgettable experience. 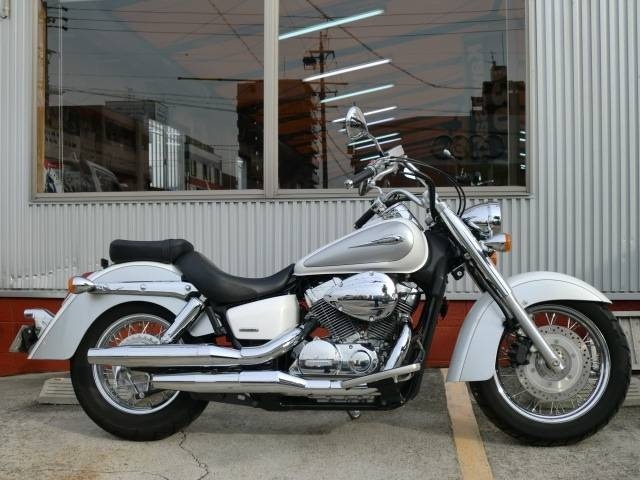 A 400cc Honda Cruiser, the Honda Shadow (a number of models are available-Classic, Slasher and Ace) combines the beauty and comfort of a cruiser with Honda’s proven engineering quality; they look great and sound better. The seating and handlebar position ensures you will remain comfortable on any long drive, and the 400cc engine is more than enough power for the Myanmar roads. Show up with your passport and driver’s license. I really don’t like handing my passport to anyone, so I won’t require you to do so either, but I do need to see a valid passport and driver’s license, which I will make a copy of. I’ll show you the bikes. If you are satisfied, you sign a form stating that you are responsible for your own actions, and/or any damages done to the bike. Pay a deposit of $50 each for the smaller bikes/ manual scooters, $100 for the medium bikes and automatic scooters, and $200 for the big bikes (acceptable/preferable in local currency). At the end of your rental, return the bike(s) in the same condition as when you took them out. I’ll return your deposit to you. What bike would you like to rent?